Sushasana Vaten’ (towards citizen centric good governance) authored by Advocate Yatish A Naik, was launched at a glittering function held recently at Taj Vivanta Panaji, which was attended by a large number of prominent dignitaries . 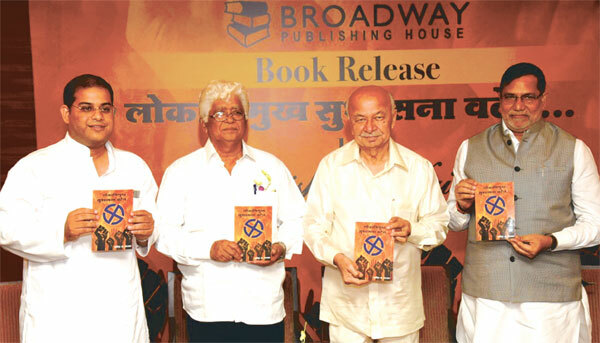 The book written in Konkani, was released at the hands of former Union Home Minister Sushil Kumar Shinde and former home minister of Maharashtra Kripashankar Singh and former deputy chief minister of Goa Ramakant Khalap. Sushil Kumar Shinde further delivered a key note address on ‘Our Constitutional democracy and its ideals’.